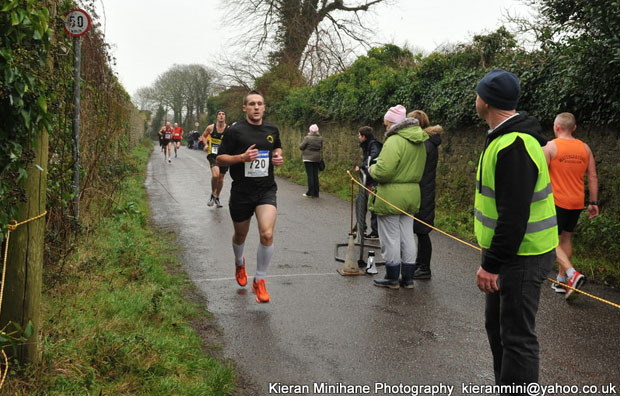 Cloyne Commons 4k : This 4k race was held on Sunday the 25th of Jan 2015 and we had four members in it including Jonathan Kenneally who has just joined the club! 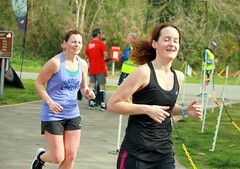 There were also two mountain races that members were involved in last weekend. 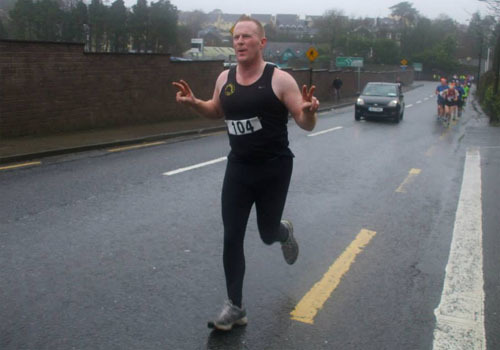 Austin Browne took part in the Art O’Neill Challenge, an arduous 55k night run which starts at Dublin Castle at midnight and finishes in Glenmalure Valley in Co.Wicklow. Austin finished the course in 8 hours 10 minutes. 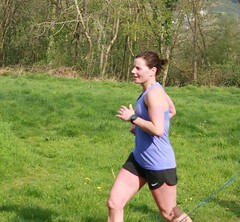 Also in action a bit closer to home was Linda Cussen who completed her first mountain race. 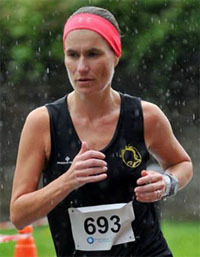 Linda was the 5th woman home in the IMRA Ballyhoura race over an 8km route. 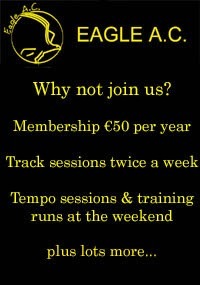 The Munster Senior & Masters Indoor Championships are held in January every year in Nenagh, Co.Tipperary. The 200m indoor track there is the only one of its kind in Munster and was at one stage, the only one in the country and hosted the national championships for several years. Looking through the results for the last 13 years, the club has only taken part in these championships on a few occasions. 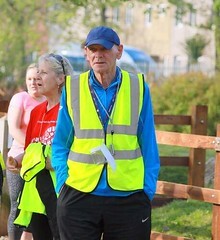 The largest number that ever took part in the last decade was back in 2008 when Pat Murphy, Dave Muldowney, Ann-Marie Healy and Dave Hogan made the journey to Nenagh. With that in mind, an effort was made this year to have the club represented at the championships in some capacity. It was more of a case of the club ‘flying the flag’ so to speak than going there to win anything. 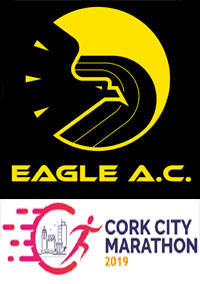 Both James Ryan and myself set off from Cork at about 8am on Sunday the 18th of January for the journey north to Nenagh. After a 2 hour drive, we located the ‘stadium’ pretty easily but without checking Google Streetview earlier, I think it would be simple to just drive past it as the entrance is very inconspicuous. I had heard about the ‘shed’ for several years and I was expecting something extremely basic. From the outside, it looks like a farm building but inside, there was a 4 lane 200m indoor track. 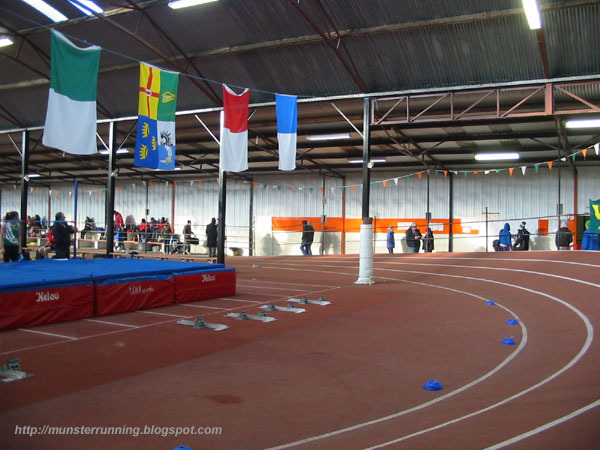 While the facility is somewhat dated and is nothing like the new world class indoor track in Athlone, it is still the only indoor track in Munster. 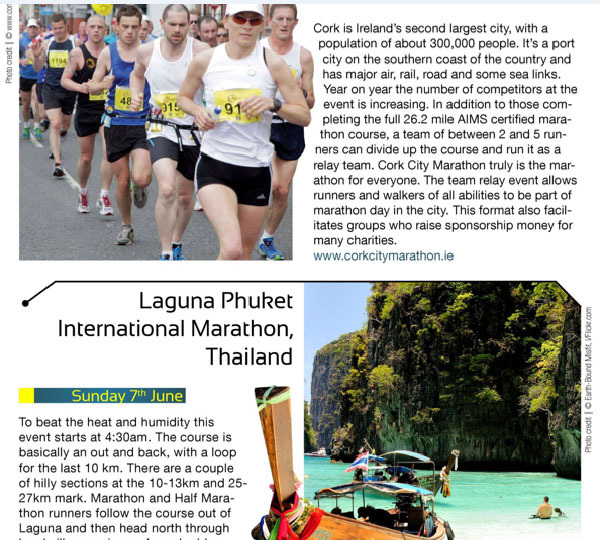 I couldn’t help thinking while I was looking at some of the events as to why wasn’t there something similar like this in Cork? 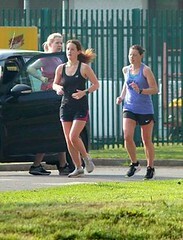 I was up next going head to head with the M50’s in another 3000m race. Although my time of 11:08 would have got me silver in 2014, it was only good enough for 7th on this occasion. As the old saying goes…In for a penny, in for a pound. 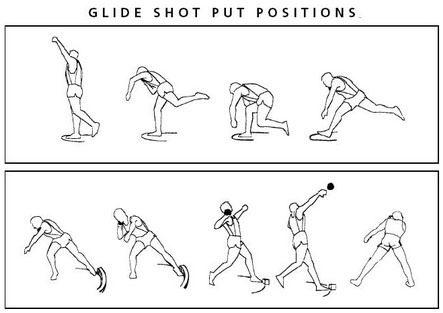 With that in mind, I had put my name in for the Shot Putt as well. As I waited in the Shot Putt area for the previous competition to finish, I could see I had entered another realm of athletics. For most of the competitors there and judging by their size, this was their preferred discipline whereas for me as someone who runs long distance races, I was a bit like a duck out of water. As we got ready for the next competition to begin, one of the officials asked me ‘What do you usually throw?’. Throw? ?…..Do I tell him my first throw will also be a PB? ;o) …..eventually I told him that I was more used to the long distance running events….a bit like I had just wandered in here by mistake and I was lost. After frantically trying to remember everything I had been taught on the Athletics Ireland level 1 coaching course, I managed to get the 6kg shot out of the circle on 4 occasions which was an achievement in itself. In the end, it was enough for a Bronze medal in the M50 category. Overall, a successful day out and a re-introduction to the Munster Indoor Championships for the club with two Bronze medals to show for it. One thing that it re-enforced to me was that it’s all about trying new things and taking part. 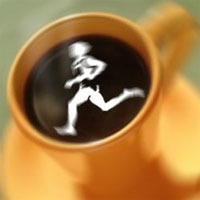 Instead of doing some 5k race for the umpteenth time, there are plenty of other options if people would only give them a go. 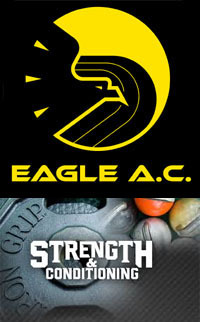 Hopefully, it might be the start of more club participation in future track and field events. The club AGM was held this year in the Imperial Hotel in Cork City on Wednesday the 14th of January 2015. In previous years, it had been held in the red building in CIT but due to the increasing membership, the club decided to make the switch this year. With tea, coffee and sandwiches on offer, it also made for a much more social occasion. The meeting opened with vice chairman Joe Roche recounting the highlights of 2014. 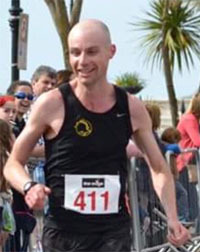 In his address, Joe highlighted the increased participation in championship events and how this lay at the core of what being in an athletics club is all about. He noted that the club had shown a marked participation in such events in 2014 and encouraged more members to take part in championship races in 2015. 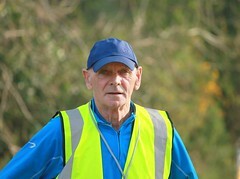 He also made a request to members to become more involved in the running of the club. In the past, the club has depended on too few people and it would assist greatly if more members would take on some roles, no matter how small. The AGM concluded with our new chairman presenting the medals for the 2014 Munster Half-Marathon Championship to various members. Photos : (L-R) Club chairman Pat Twomey presenting medals to Pat O’Connor, Adelle O’Connor and Elaine Guinane. 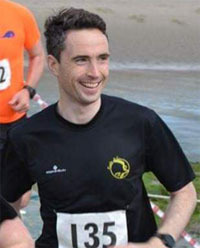 Pat O’Connor was part of the mens masters team that took bronze. Adelle won two medals…a silver for the senior womens team and a silver for the womens masters team. 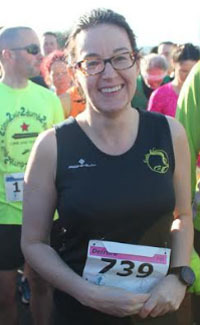 Elaine won a silver in the womens senior team. Thanks to David Speight for the tip off. 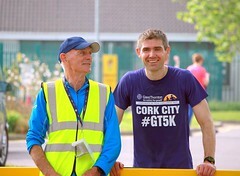 One notable result was that of Ber Looney who finished first in the F45 category. With the new year upon us, it’s time for a quick look back at 2014 and what it meant for the club. Membership : The club ended the year with a record 192 members, up 18.5% on the end of 2013. There was also a jump in the rate of growth, up from the 11.7% the previous year. Championship Races : The big change in 2014 was the number of championship races the club fielded teams for. In total, the club won team medals in 11 categories. a) Road : In the County Novice & Masters County Road Championships in March, the club teams won bronze in the Novice women, bronze in the O35 women, silver in the novice men, silver in the O35 men and gold in the O50 men. 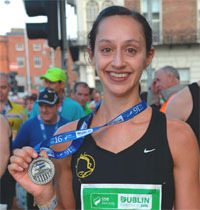 b) In the Munster Half-Marathon Championships in Charleville in September, the women’s team took silver in the senior competition. In the Masters section, the club won silver in the masters women and bronze in the masters men. 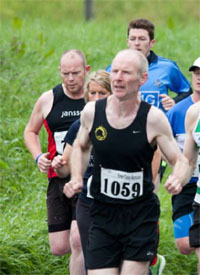 In the Cross Country races at the end of the year, we had a big jump in numbers of those representing the club. 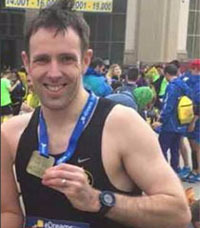 In 2013, 15 members represented the club at various cross country events and the club won two team medals. 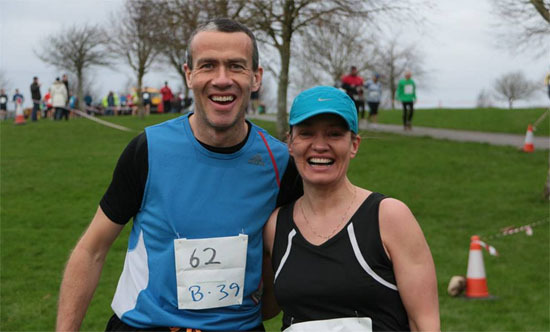 In 2014, we had 34 members turning out and we won three team medals…men’s silver in Novice B, bronze in the masters women and silver in the men’s M50 category. 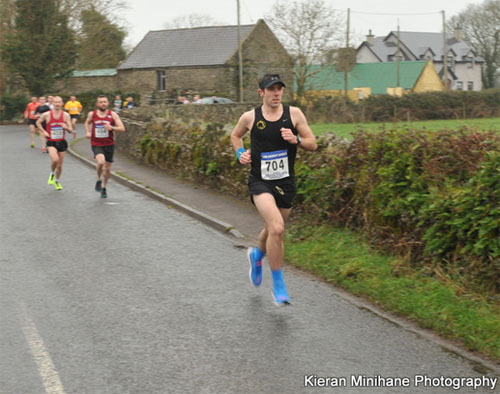 Indeed, at the Munster Masters in Watergrasshill in December, we had the largest turnout ever from the club for a cross country event. Club website : The club website was revamped in March of 2014 and it resulted in an immediate increase in traffic. In the 6 month period from the 1st of July to the 31st of December, the site got 19,251 pageviews, a jump of 31% on the traffic to the old website for the same six month period in 2013. Facebook : The clubs Facebook page continues to attract a lot of traffic. At the end of 2013, the page had 301 ‘Likes’. At the end of 2014, it had increased to 495….an increase of about 50%. In 2013, there were two weeks where various posts on the page reached over 500 people. In 2014, that had increased to five weeks. As for ‘Likes’ on the Facebook page….56% are men and 44% are women. 73% are in the 25 to 44 age bracket with 12% between 45 and 54. Just 5% were in the 18-24 group with a similar number in the 55-64 category.